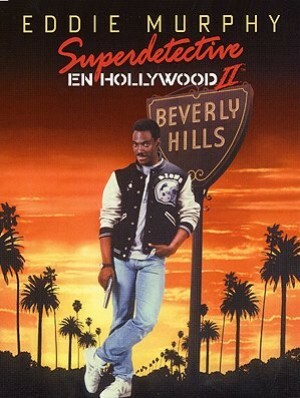 Vuelve Eddie Murphy, tan duro como siempre, en esta sensacional secuela de Superdetective en Hollywood. El escenario es el elegante ambiente del sur de California, donde una banda internacional de traficantes de armas está en el punto de mira de Axel Foley, Judge Reinhold y John Ashton. Eddie Murphy, Judge Reinhold, Juergen Prochnow, Ronny Cox, John Ashton, Brigitte Nielsen, Allen Garfield, Dean Stockwell, Paul Reiser, Gilbert R. Hill, Paul Guilfoyle, Robert Ridgely, Brian O'Connor, Alice (II) Adair, Eugene Butler, Glenn Withrow, Stephen Liska, Gilbert Gottfried, Tom Bower, Valerie Wildman, Hugh Hefner, Carrie Leigh, Frank Pesce, Vic Manni, Sheila Levinsky, Ray Murphy Sr., Todd Susman, Chris Rock, Susan Lentini, Anthony D'Andrea, Robert Pastorelli, Kopi Sotiropulos, Richard Tienken, Teal Roberts, Peggy Sands, Larry Carroll, Carlos Cervantes, Michael DeMarlo, Dana Gladstone, Richmond Harrison, Darryl Henriques, John Hostetter, Tom 'Tiny' Lister Jr., Ed Pansullo, Rudy Ramos, Ritch Shydner, John Lisbon Wood, Carl Bringas, Joe Duquette, Michael Hehr, Sam Sako, Michael F. Kelly, William Lamar, Christopher R. Adams, Danny Nero, Devin Bartlett, Dayna O'Brien, Eugene Mounts, Everett Sherman Jr., Catrin Cole, Sarah Quick, Kymberly Herrin, Rebecca Ferratti, Kari Whitman, Marlenne Kingsland, Venice Kong, Ola Ray, Leilani Soares, Luann Lee, Monet Swann, Natalie Smith, Kymberly Paige, Anne Lammot, Alana Soares, Pamela Santini. Tony Scott (Dirección), Jeffrey L. Kimball (Montaje), Dennis Klein, Robert D. Wachs, Warren Skaaren, Eddie Murphy, David Giler, Larry Ferguson (Guión), Keith Forsey, Harold Faltermeyer (Música).